999 year lease from 2006! 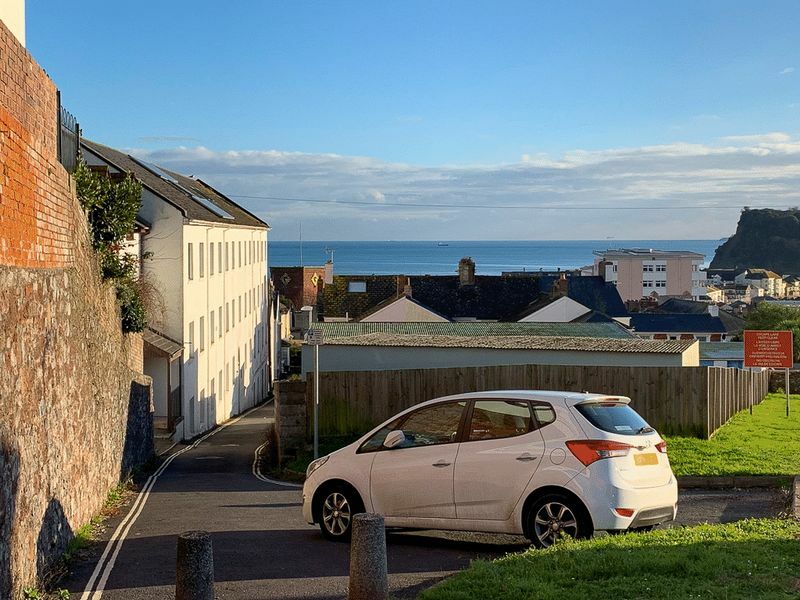 A modern 2 bedroom top floor maisonette offered for sale in the sought after seaside town of Teignmouth. 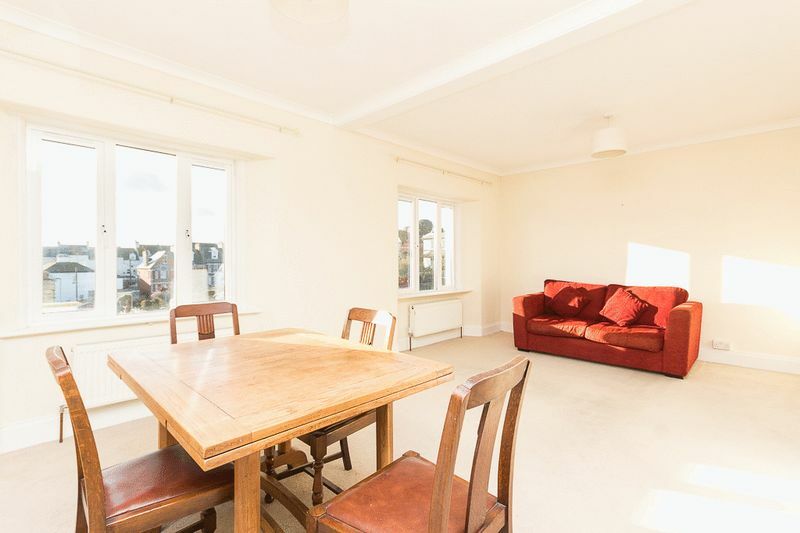 The property benefits from modern decoration throughout, a balcony area to the front with pleasant views towards the sea, the River Teign estuary and the docks. 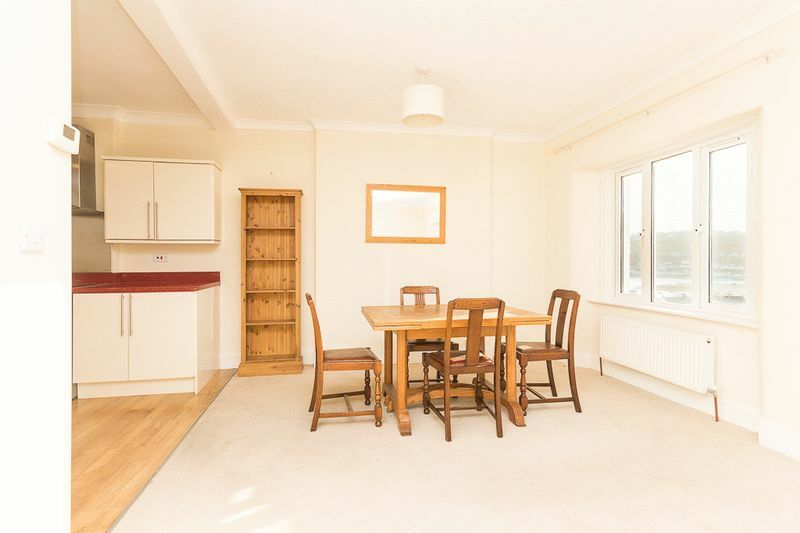 Viewing is highly recommended to appreciate all that this maisonette has to offer. Nestled into the South Devon Coastline is the large town and fishing port of Teignmouth. The aptly named 'Gem of South Devon' offers opportunities for people from all walks of life. Located approximately 13 miles from the cathedral city and county capital of Exeter. There is a fine promenade with sandy beaches, accompanied by a historic pier, dating back to the 1800's and a classic crescent of imposing Georgian buildings. There are plenty of boating opportunities and watercraft activities on the estuary and the "back beach" enjoys a fantastic selection of pubs and restaurants in a superb marine setting. The town has a wide variety of shops and cafes, along with a Waitrose and a large Morrisons supermarket towards the edge of the town. 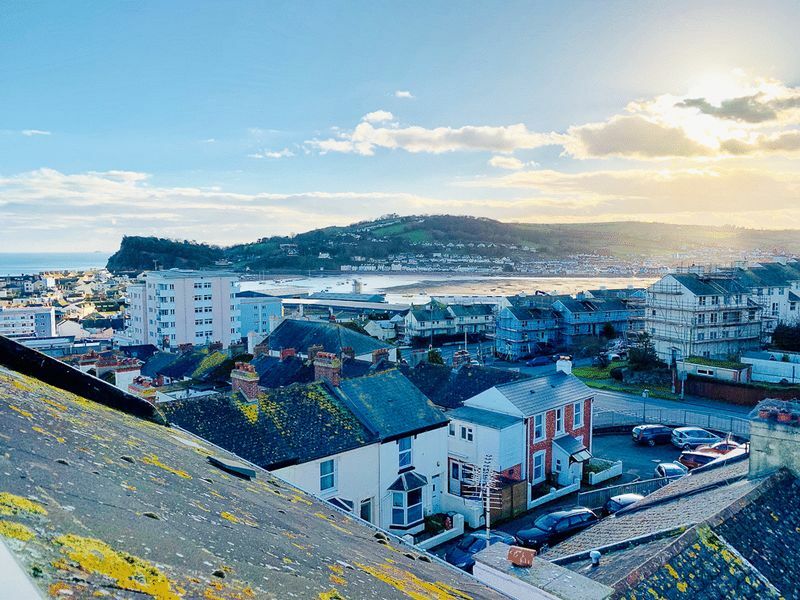 Teignmouth has several primary schools, along with a well-regarded secondary school/Community College and Trinity School, being a private school offering both primary and secondary education. 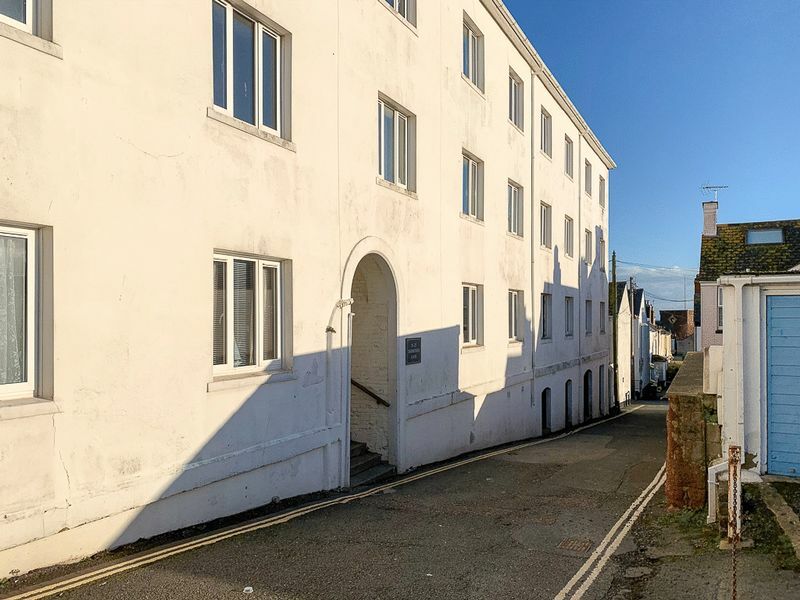 Teignmouth also offers fantastic travel links being situated within short driving distance to the A380 serving the M5 to the north and London, and is around a 20 mile journey from Exeter International Airport. There is a mainline railway station offering a direct link to Exeter St Davids, London Paddington and the North. 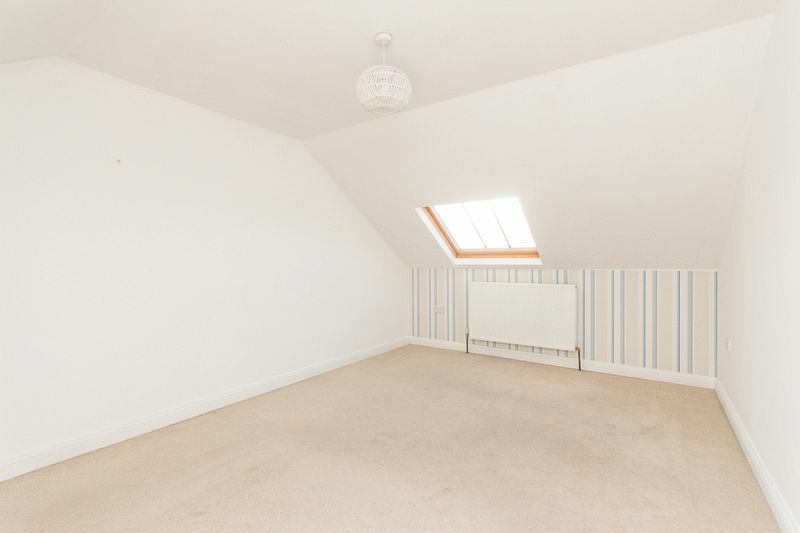 You access the maisonette via a covered shared staircase which rises to the top floor. 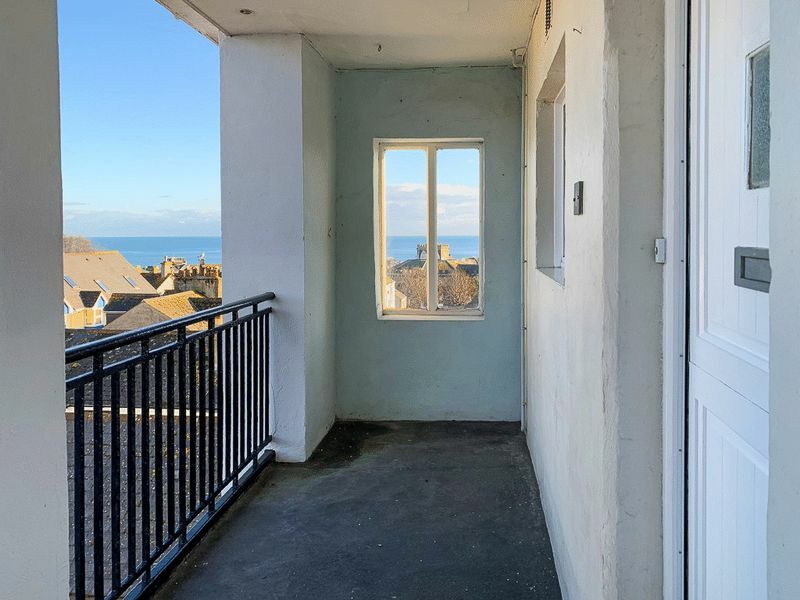 There is a balcony area to the front of the property which gives access into the maisonette's hallways via a stable door - perfect for those warmer months! 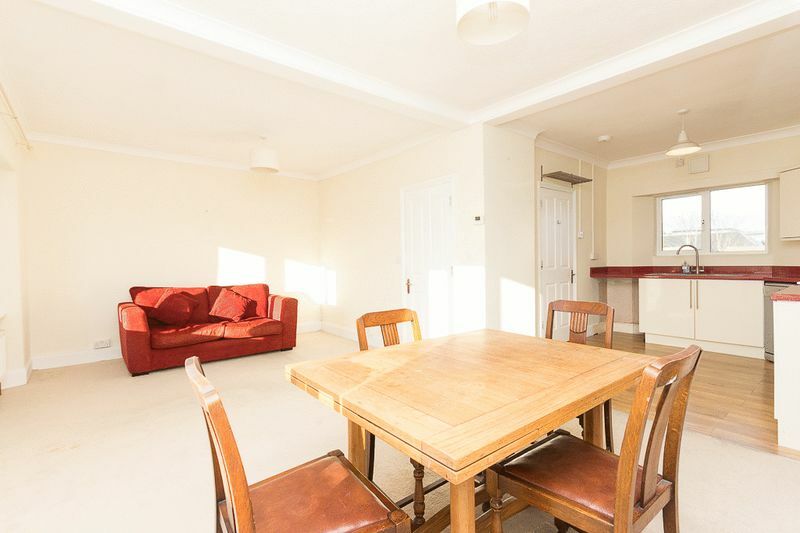 The main living area of the property is a versatile space currently used as a lounge diner. It is decorated in neutral tones and benefits from two large uPVC windows to the westerly aspect allowing for plenty of natural light to create a bright and airy feel which also allows spectacular views towards the docks, the river Teign and towards Shaldon and its neighboring countryside - where better for a dining table?! 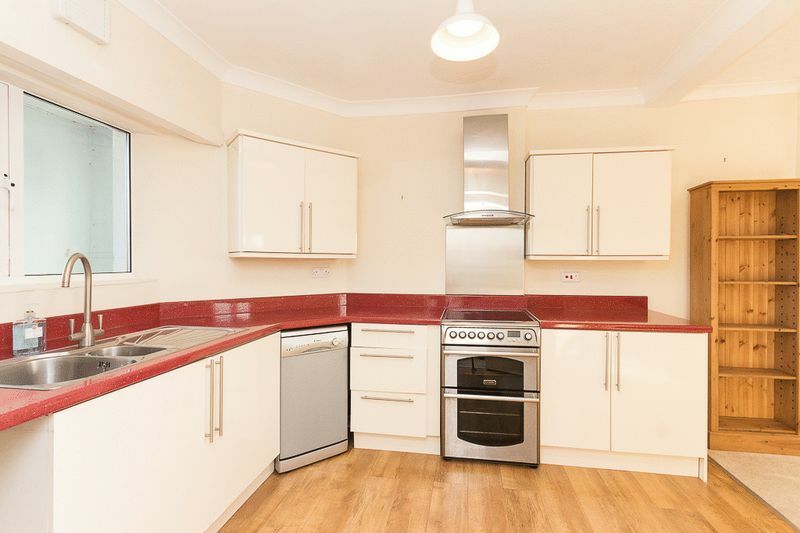 The property benefits from a modern, fitted kitchen accompanied by laminate flooring. There are a range of wall and base units fitted with a stylish worktop over with matching upstand. 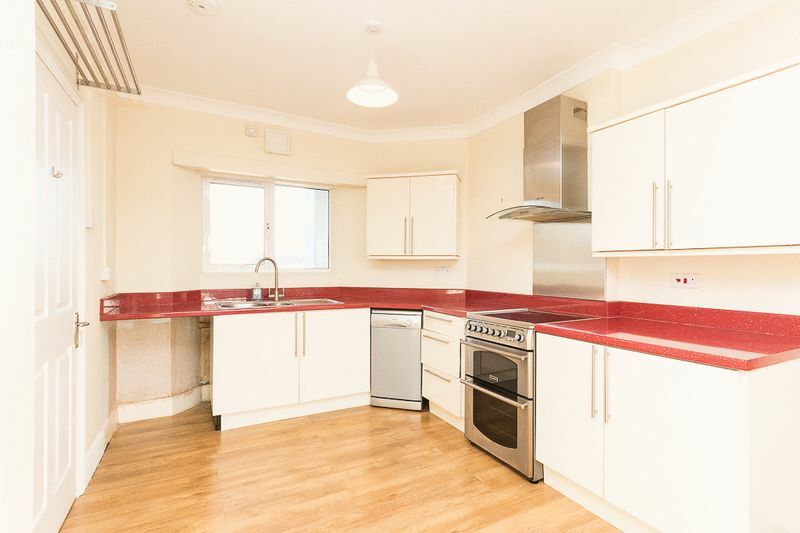 There is an electric double oven with integrated electric hob and an extractor hood over, there is space for a freestanding fridge freezer along with space and plumbing for an under counter, slimline dishwasher and washing machine. There is a window overlooking the balcony area. The bathroom is well equipped with a 3-piece white suite. There is ceramic tiling to the walls with a modern wood effect lino floor. The suite itself comprises a bath with electric shower over, WC and a pedestal wash basin. 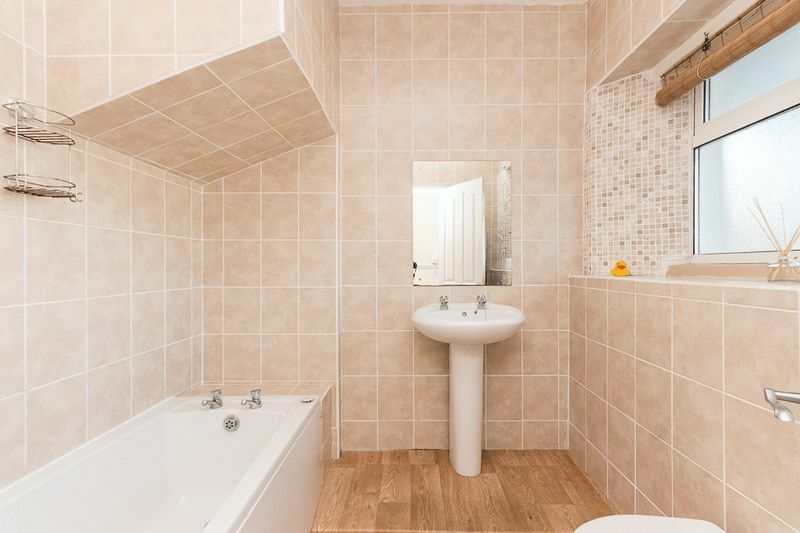 There is also a wall hung towel rail/ radiator. From the entrance hall, stairs rise to the first floor where there are two bedrooms, the boiler cupboard and a further bespoke storage cupboard. The master bedroom being a spacious double room benefiting from mostly neutral tones and feature striped wall paper and the fantastic westerly outlook towards the River Teign from a Velux window. 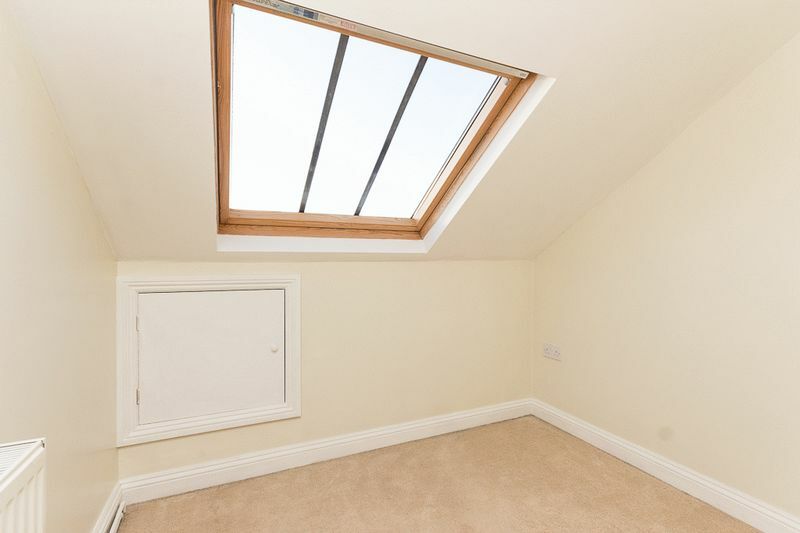 The room also benefits from Eaves storage. 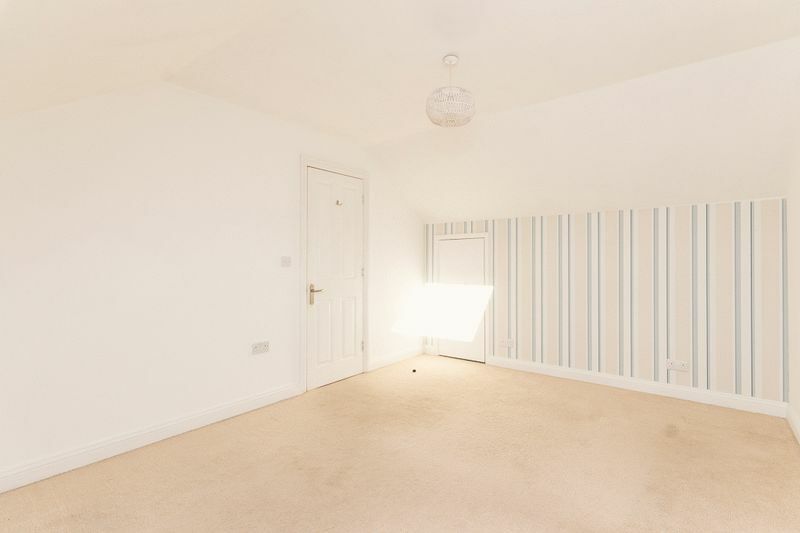 Bedroom 2 is a single room which enjoys a similar pleasant outlook to the master bedroom, with access to eaves storage. This would also make an excellent study. 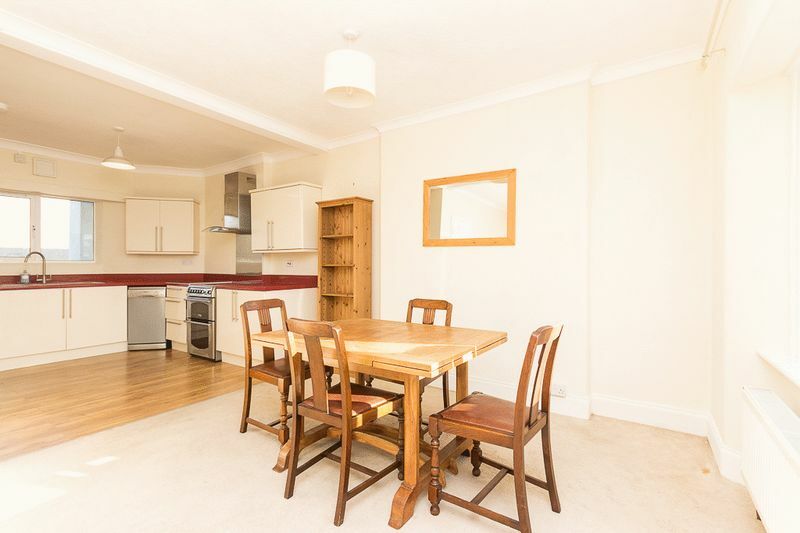 There is a balcony area to the front of the property providing a pleasant space for a table and chairs, a rarity for an upper floor apartment. 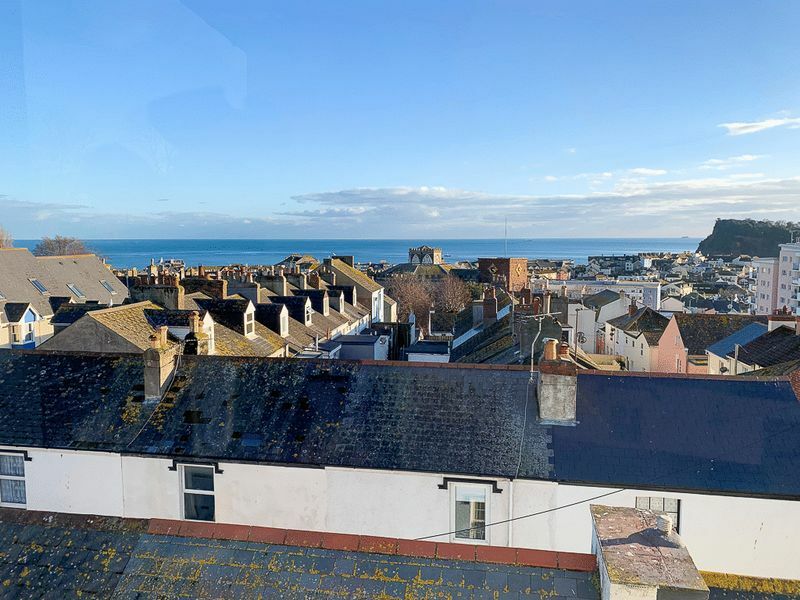 Due to the elevated position of this maisonette it offers fabulous views from the balcony over the town’s rooftops and straight to the sea. Also, the perfect place for a few potted plants to greet guests to the door. 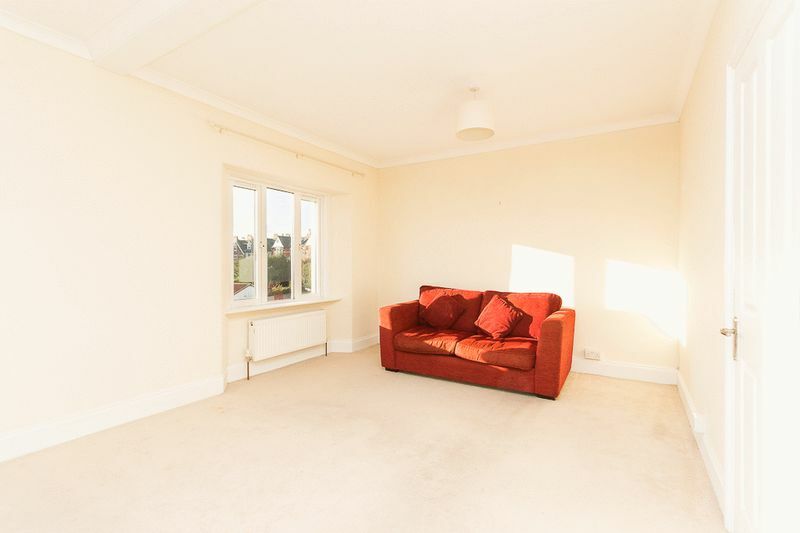 Roughly £390.00 per year ground rent including service charge. 999 year lease from 2006.